Sunset West Plumbing & Rooter has been in business since 1989. Our team of professional plumbers is dedicated to provide affordable and trusted solutions for any plumbing issue out there. We serve the city of West Los Angeles, CA and the surrounding areas, so contact us today! If you are in or around these cities, contact us today. We are happy to serve the local communities by providing reliable plumbing services. Emergency Plumbing Repair for any plumbing problem that can cause damage to your property, including leaking faucets, clogs, and slab leaks. Call today for fast service to have damage repaired as soon as possible. Preventative Maintenance is available to inspect your waterlines and gas lines for potential wear and tear to keep you from having to deal with leaks and breaks. We perform thorough inspections and provide maintenance to keep your home plumbing working properly for a long time. 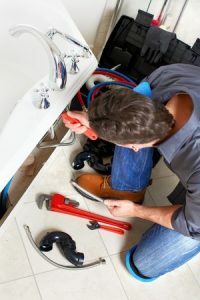 Residential Plumbing Service is available for plumbing replacement or remodeling projects. We also provide maintenance and repair for your water purification systems, water heater, and sewer lines to name a few. Updated on May 12, 2017 at 8:28 pm by Sunset West Plumbing & Rooter.